The aura of the Christmas season often centers on a gorgeous Christmas tree, lights, and other decorations scattered around your home. Decorating takes place together as a family or as a surprise for when they come through the door. It’s a beautiful season where memories are created with family and friends. 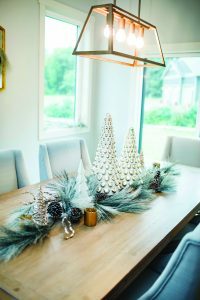 Holiday decorating should be an exciting time for your family, whether you do it yourself or have it professionally done. Pick hues of traditional red and green or colors like blues and silvers to complement the colors and furnishings of the house. Make sure to place decorations where they will be enjoyed but also work best for how your family functions during the holiday season. She suggests asking yourself questions such as: How do you want to enjoy Christmas? How much do you want to do? Will you be hosting a lot of holiday parties? Once you answer these questions, a person can consider color themes. Choose colors that complement your home and living space, whether it is traditional red and green or turquoises and whites. Maybe you select this year’s theme according to a particular ornament. There are countless styles and themes to choose from, so knowing your color and design style beforehand will help the process. If your home is more contemporary, then consider whites and metals. 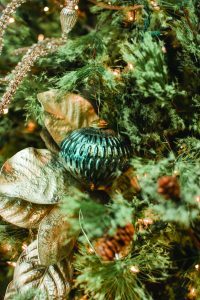 Other homes have a more rustic feel, so these homeowners may select the traditional red and green, berries, green sprigs, and wooden ornaments. “Don’t be afraid to use different colors that complement your home and style,” Johnson said. It’s important to keep holiday decorating special and fun. Look at your room and decide the best location to set the Christmas tree. This will be one of the main focal points in the room and a chair may need to be moved for the Christmas season. Consider a corner by a fireplace or a front window looking outside. How you decorate your tree first depends on whether it is real or artificial. Some families love creating memories and enjoy visiting a tree farm or greenhouse to select the perfect real tree. In the Iowa Great Lakes area, Tannebaum Christmas Tree Farm in Milford, Ferguson’s Greenhouse, Bomgaars, and Hy-Vee are among some of the places that all provide different types of options. Once you select a tree that can make it through the front door, make sure to provide proper tree care throughout the season. Other families prefer an artificial tree. Once it’s out of the box and put together, fluff the tree and its branches to fill holes and make it look full. If you are using a real or artificial tree, find the side you want displayed. Make sure all of the lights work before putting on other items. Johnson recommends first putting on the big ornaments throughout the tree. 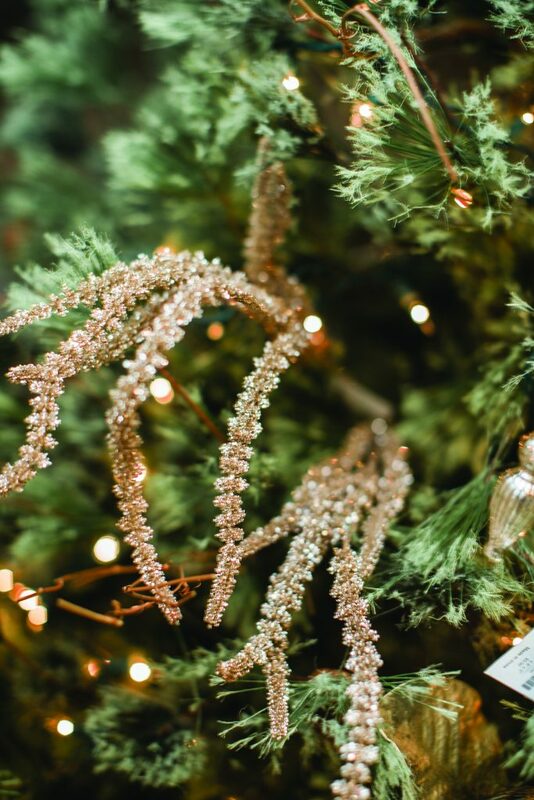 Don’t be afraid of putting the ornaments further into the tree branches. Everything shouldn’t be hanging at the ends of the branches, Johnson suggests. After the ornaments are where you’d like them, begin adding sprigs, florals, or magnolia sticks. Don’t be afraid of untraditional items. Once this is done, start adding in the smaller ornaments. Keep layering, stepping back, and adjusting items. Most importantly, Johnson said is to keep it balanced and eliminate any holes. She doesn’t recommend having two similar items too close together. For those who prefer the whites and metals, it brings visions of a Winter Wonderland. These pieces can often be left up longer since they can transition throughout the winter months. During December, maybe add a touch of red or green to the pieces and remove them in January. “The most important thing is to not be afraid to try it,” she said. When selecting holiday decorations for your home, everyone does it a little differently. Some families use decorations they’ve collected throughout the years and add a few new pieces here and there. 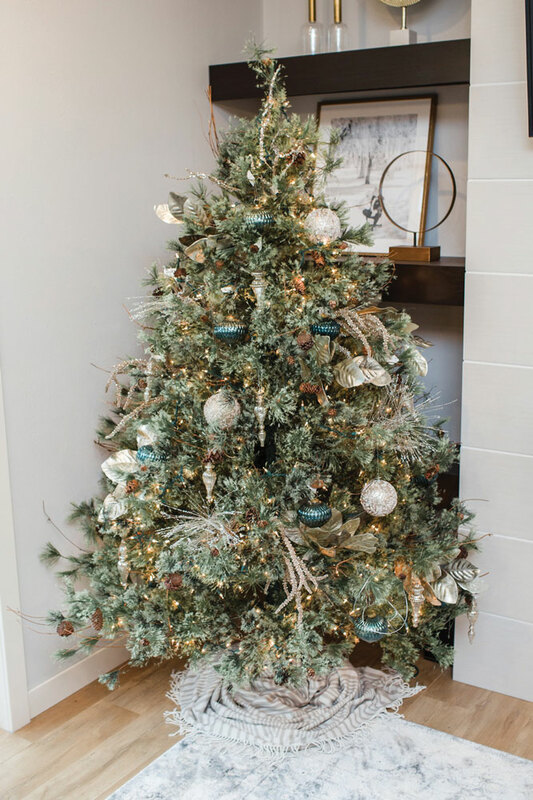 Once the Christmas tree is decorated, start looking at other surfaces in your home. Common places to continue your decorating theme are fireplace mantels, shelves, tables, and even outdoors. Consider adding in candles and other lighting. 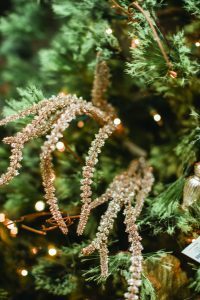 Holiday decorating is a special time and often brings about the first memories of a Christmas season. It makes a home a little more comfortable and homey. 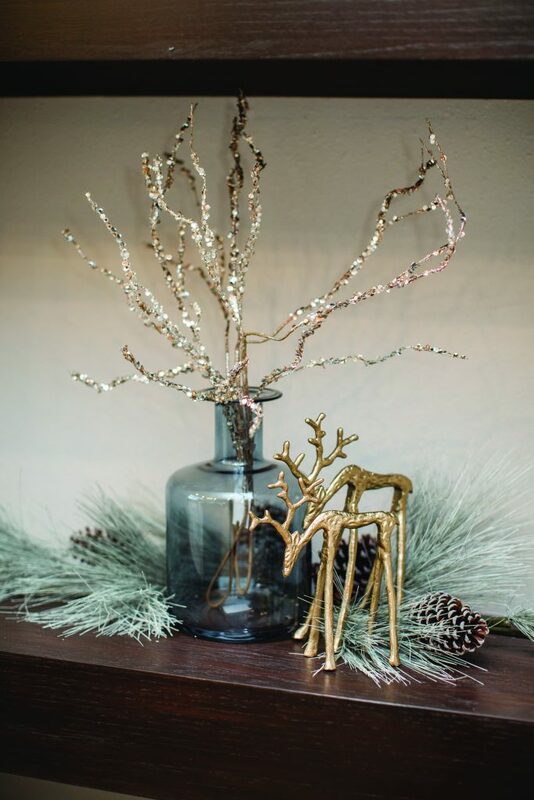 If you are interested in finding new pieces to add to your holiday decorating, visit Allure and Co. in downtown Spirit Lake during their business hours. More information can be found at allureandcompany.com. They are hosting a number of holiday activities throughout November and December. 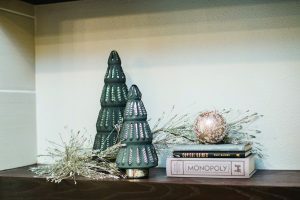 Maybe life is crazy and you don’t have time to figure out this year’s holiday decorating scheme, then make sure to contact Nichole Johnson Designs at (712) 330-8467. She would love to help you go through the old and new and create the stage for 2018’s Christmas season.